Among other disciplines, sociology stands out as a relatively new one. This is why writing an essay on sociology may pose an extra challenge for students – because sociology seems not to have a lasting tradition of essay writing with its understandable guidelines. Also, because sociology has much less canon than, say, English Literature, it relies more heavily on empirical data, namely the student’s own research, its outcomes, and their thorough documentation. However, a sociological essay is not limited to that. Regardless of which aspect of sociology you are writing about – race, gender, class, or any other – you are also expected to conduct a careful analysis of your research data and substantiate it with references to established authorities in the discipline. Studying sociology involves a lot of written assignments, but they are largely similar in terms of approach to writing. Here is a step-by-step guide for writing a sociology essay. Any written assignment begins with a topic, and your essay is no exception. Sometimes, the professor hands out topics for students to write about, otherwise you may be able to choose the topic for your essay yourself from a given list. The topic may be exact or rather broad (these will come up closer to the final years of your studies), in the latter case you will have to narrow it down according to your interest. The main thing that a sociology essay topic should include (or, at least, imply) is a question. This question should be clear, important, and interesting, and you are to come up with an answer to this question in the course of your essay. This is especially critical when you pick the sociology essay topic to write about yourself. Since you are not yet an independent researcher, you have to coordinate the topic with your professor to make sure that it is within the interest of the curriculum. It goes without saying that you should also clarify any other issues that may arise, so that you know exactly what you have to do during the work on your sociology essay. Among other issues that you should clarify, you need to know exactly how long your writing should be, how many sources you have to list in your bibliography, where to look for sources, whether you use ASA citation style or any other, whether you are writing a quantitative or qualitative sociology essay, etc. Additionally, you should inquire about any other particular guidelines that your professor may have in mind. Once you have no more unanswered questions as to what you should do, it is time for you to start gathering data for your sociology essay. When you write about sociology, the chances are that you will be expected to make a claim and then substantiate it with evidence from both your own research (that you need to document) and from the literature. This should pose no obstacles since you have already clarified how exactly you should do it with your professor in the previous step. If you are writing a quantitative essay, you stick to collecting numbers – data from various censuses and surveys. A qualitative essay, on the other hand, will rather stem from more opinionated sources – like interviews, and, thus, be more opinion-based itself. Despite sociology being a relatively young field of knowledge, there is already a significant bulk of literature on it. And every sociology student is expected to be familiar with all of it. The sheer amount of this literature may look downright scary, and yet you have to read it all. This is why you have to master the skill of effective reading. Otherwise, you may not be able to read all that you have to in due time. While various speed reading techniques that you may find online or elsewhere can be efficient, you should remember to read for specific information. This means that as captivating as a certain read may be, you should never forget what information you are looking for in this particular source. To achieve this, you should see the notes not as bits of information in themselves, but rather as beacons, upon seeing which, you recollect the information that you already know. Among other fields of study, sociology relies on terminology particularly heavily. So, it is only logical to make full use of it, because special terms obviously help to make your notes more laconic. Needless to say, that to achieve this, you need to make sure that you understand all the terms that you are using clearly and conclusively. As you take notes, remember to complement each of them with a description reminding you of where exactly you have taken this particular piece of information. Also, have them, along with your other materials (books, printouts, etc.) placed on your desk or within your immediate reach in the order that allows you to find anything you need instantly. To achieve ultimate efficiency, this convenient order should be not only with the materials, but also with all your stationery and on your computer. If you think that it may be of help, you can also print out the guidelines for your sociology essay and hang them in your visible vicinity for you to look them up whenever you feel like you need to. Make sure that everything is ready for you to sit down at work. It has to be ready not only at times when you allocate some time for writing your sociology essay, but at all times, because you never know when inspiration can strike you to write something exciting and insightful. Another critical moment is that you should feel quite comfortable when sitting on your work. You don’t want to be distracted by such irritating nuisances like less than comfortable chair or less than enough space. So, make sure that your chair is soft enough and has good back support, that you have enough room to stretch your hands and legs when you feel like, etc. Before you shape the outline of your sociology essay, it is critical that you have your main thesis. It is the core of your essay. 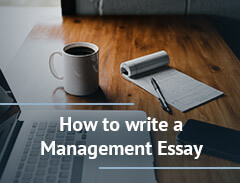 It answers the question that you have addressed in your essay topic back in step 1 and – hypothetically – lets your reader know what exactly the read will be about. There are several ways to come up with a fitting thesis statement. The most obvious one, as we have noted, is to provide a laconic answer to the fundamental question that you have set out to investigate in your essay. However, it is imperative to remember that a thesis statement must not sound like an indisputable fact. Instead, it must be open to discussion that you will lead with throughout your essay. Once you have formulated your thesis statement, which is the core of your entire writing, you can proceed to shape its “skeleton” which is your essay outline. An outline is where you list all the subtopics that you plan to cover within each section of your essay. Most sociology essays are relatively short, so a section will be a paragraph. It is useful to complement your outline with references to the sources that you plan to address in each particular paragraph. Make sure that each of these subtopics directly and evidently relates to your thesis statement. Most often, your outline will not be included in the paper that you submit, so you don’t have to worry about what it looks like. You can even change it on the go if you feel it serves your cause better this way. Many writers state that beginning to write is the hardest part of the process. This is why it is a good idea to get it done and out of the way as soon as you can. 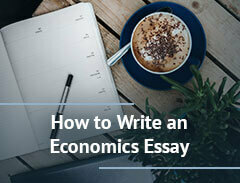 The introduction should include the thesis statement of your essay. As for the rest of it, it is up to you and your creative mind. You can find a lot of useful tips on how to write an introduction to your essay online, but arguably the safest and most efficient way applicable for a sociology essay is to give a real-life example. For example, if you write about gender studies, you can give a story about a person being denied service because of the person’s race. You may have heard that a good way to conclude your essay is to “mirror” what you have already written in your introduction. For sociology essays, such framing is arguably the best approach. So, once you have written your introduction, you can immediately put together your conclusion without further ado. Once you have written the introduction to your essay, it is a good time to return to your outline and see what you have planned for your main body paragraphs. In each paragraph, you write a sentence that you have prepared in your outline – it will be the main statement of this paragraph. Then, you substantiate it with evidence from the sources – which you can also find in your outline. If you feel like your narration is not smooth enough, you can end each paragraph with a transition sentence to have it better connected to the following paragraph. Usually, a sociology essay will have sources cited according to ASA (American Sociological Association) formatting style guidelines. This formatting style suggests in-text citations with relevant information about the source (author, title, publication date). However, your professor should tell you for sure which formatting style you are to employ in your essay and whether or not there are any extra requirements for citations. Take great care to cite each and every source that you are quoting – directly or indirectly. Today, all academic papers are run through plagiarism-checking software which will mark the quoted pieces without proper citations as plagiarism, and it will take you extra time and effort to prove that you are not a plagiarist. Such situations are best avoided. Now that you have written your essay, it is still not ready for submitting. When writing about something truly exciting, it is easy for the author to overlook some minor errors having to do with spelling, punctuation, etc. Clearly, such mistakes are unacceptable in a serious academic paper. Even if your professor says that s/he can overlook such minor drawbacks, they still influence your reader’s overall impression of your work. However, proofreading your paper yourself proves to be inefficient and time-consuming. It is better to run your draft through a spelling- and grammar-checking software. Pay close attention to every instance that the software underlines, but take its recommendations with a grain of salt. After all, software is not sophisticated enough today to fathom everything that a human author means. narration. It must flow smoothly and logically. To ensure this, employ transition sentences wherever you feel necessary, not to leave your reader in a dead end and not to jump between ideas leaving your reader confused. vocabulary. As we have mentioned before, sociology heavily relies on a set of terms. You have to make sure that you understand all the terms you are using throughout the paper. As silly as it may seem, reading out loud is a well-known method of proofreading. When you pronounce your own text, you also listen to it. And employing another sense (hearing) is not unlike having a second pair of eyes proofread your writing. It has proven to be effective for spotting mistakes that one may overlook when simply reading one’s own text. Even after you have read your text out loud to yourself, it can still be quite useful to have an actual second pair of eyes look through your essay. However, you cannot trust this job to just anybody. Obviously, it has to be a person with sufficient expertise – both in sociology and English writing. Secondly, it has to be a person you can trust, because, as petty as it may seem to you at some points, your essay is your intellectual property. The best choice of candidate for proofreading your paper may be your friend from class – approach him or her and offer to exchange your sociology essay drafts for proofreading. This way, both of you ensure expertise and trustworthiness alike. One final little thing to do before submitting your essay is to look through the guidelines that you have collected back in step 2 and make sure that the essay that you are about to submit follows all of them.